I think I have mentioned before that I work out with GHUTV online. It’s an online subscription that gives you access to a huge variety of workouts and so much more. They also do a live workout every Monday, which then becomes part of your library. When I first started with GHUTV, a year and a half ago, I usually just picked a workout and went with it. There is a private fb group called GHUTV Squad, for members. The group usually follows 2 different calendars each month, or you can do your own thing and pick your own workouts. I find that I am more consistent if I stay with a calendar. 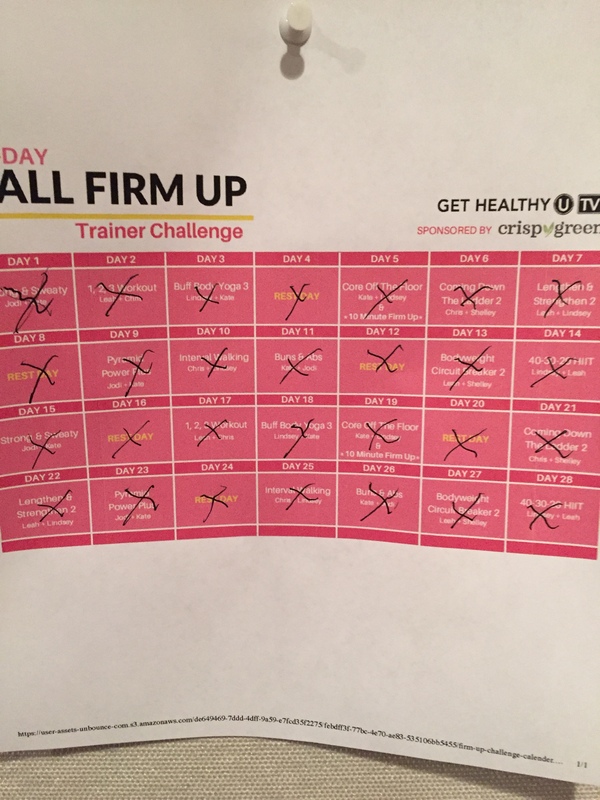 For September, they introduced a new calendar, Fall Firm Up Trainers Challenge. This was a calendar of all “live” workouts, and it was intense. I was a sweaty mess every day of this calendar! Yesterday, I finished it! There’s another new calendar coming for October, it will be released on Monday, I believe. So, today I did Cardio Step 2. It was so much fun! Tomorrow will be a rest day. I love being a part of the GHUTV Squad. It’s an amazing community of motivation and support. Do you workout out at home?